The magnitude 7.2 earthquake that shook Turkey on Sunday and killed 535 while leaving 50,000 homeless has also damaged important historic monuments in eastern Turkey’s Van region. 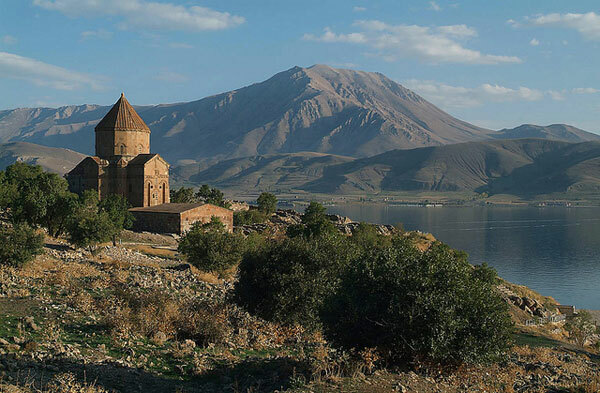 According to Today’s Zaman news source, the 10th C. Armenian Church of the Holy Cross has sustained damage to its dome and the minarets of the nearby Hüsrev Paşa Mosque and the Kaya Çelebi Mosque also have visible cracks. The Church of the Holy Cross was built in 915-921 ACE by an architect named Manuel as part of the local Armenian king’s summer residence. The building is world-renowned for its unique sculptures on its facade, which are some of the finest examples of figurative sculpture from the era.